Bethlehem is the birthplace of King David, meaning City of Bread that was the result of the wheat crop that grew in the region. 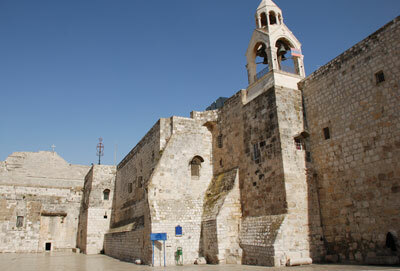 Bethlehem's main source of income is tourism, with dozens of hotels. 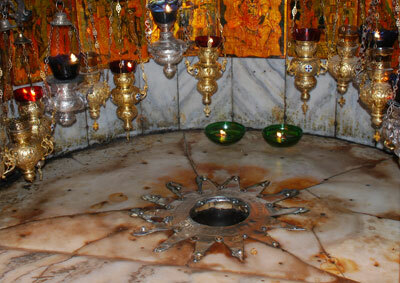 According to Christian tradition, Jesus was born there. It is a very holy town for Christians, and Jews alike. 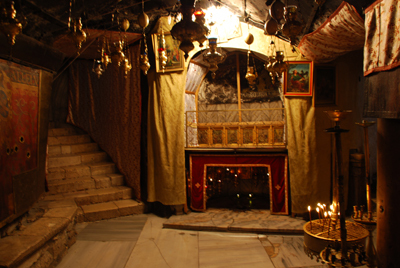 Every year at Christmas, Christians make the pilgrimage to Bethlehem, as the place where it is said that Jesus was born. At 08:30 a.m. we will pick you up from your hotel. 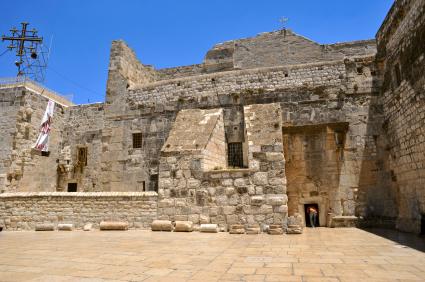 We will drive to Bethlehem via the Nativity Circle, visit the cave where Jesus was born and the Manger Square, where Jesus was placed after his birth. We will also visit the Greek and Catholic Church, and the Milk Grotto, where Mary fed her son. Over view the Sheppard Fields and visit the church.